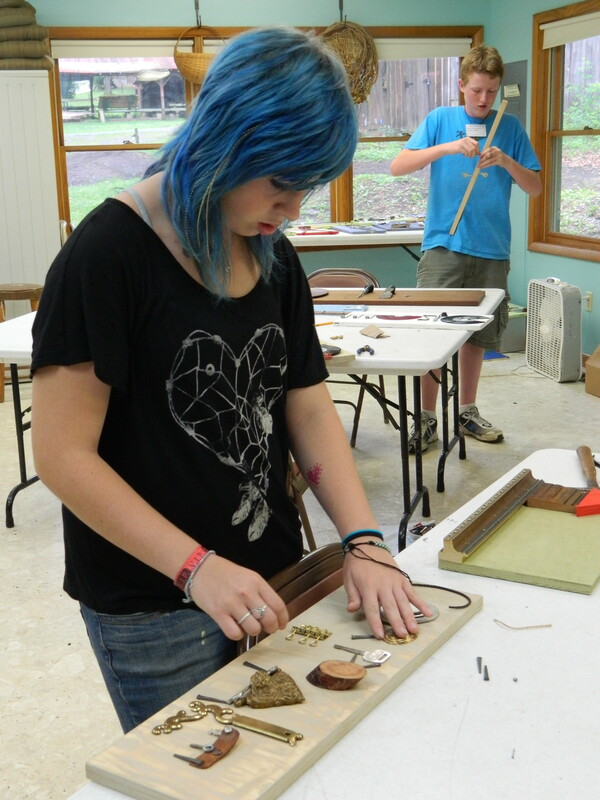 Little/Middle has been a long-standing tradition allowing children from all over the country and locally to come and learn Appalachian crafts such as weaving, blacksmithing, pottery, woodworking, and cooking to name a few. 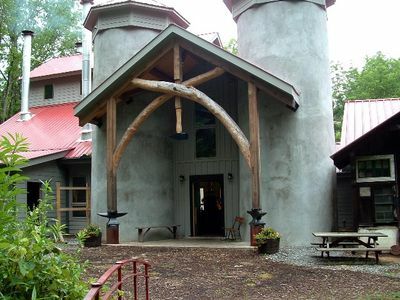 There are very few places like the Folk School that allow children to enjoy giving up the TV and malls to step into a rural atmosphere, while learning art, craft, music, dance, and other skills that are hard to find anywhere else. 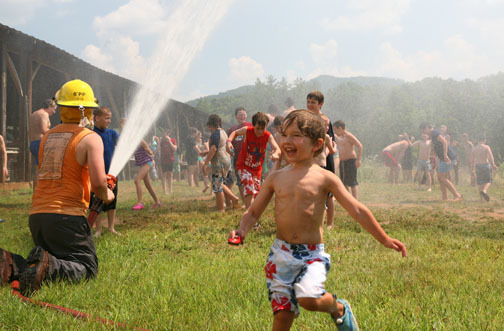 Students also get to enjoy nature walks around the campus, playing volleyball, evening contra dances, and cooling of with a visit from the Brasstown Fire Truck. 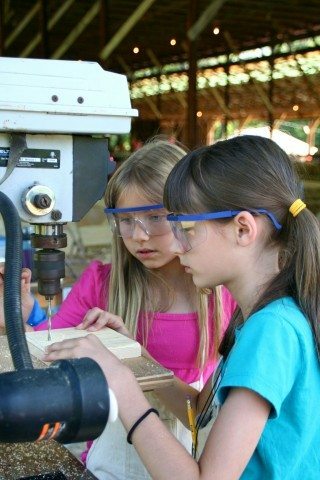 Little/Middle caters to kids 7-17 years of age; many of the young students come year after year and enjoy long distance friends that they meet up with every summer. Many students, like Able Allen, a recent graduate of Warren Wilson College, come back to volunteer or teach. 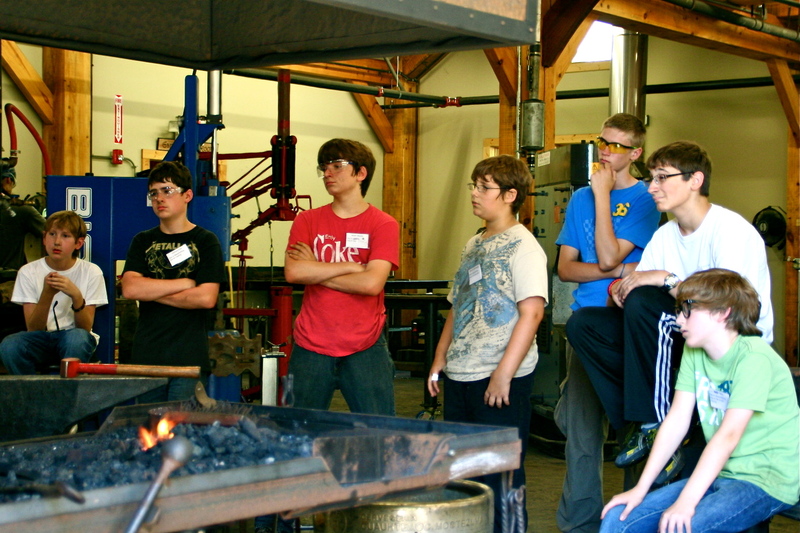 “It is exciting, going from being a student in Little/Middle, to now teaching in Little/Middle,” says Able, who is teaching blacksmithing to “middles” this year. Able grew up around the Folk School and was a long time student of Little/Middle. 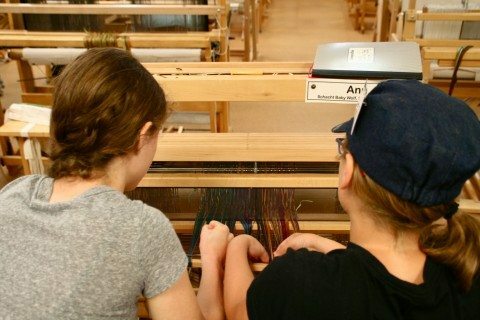 Other classes this week include Dulcimer, Dance, & Drama, Recycle Art, Silk-Screen Printing, World Foods, Kite Making, Puppetry, and even Canoe Building! 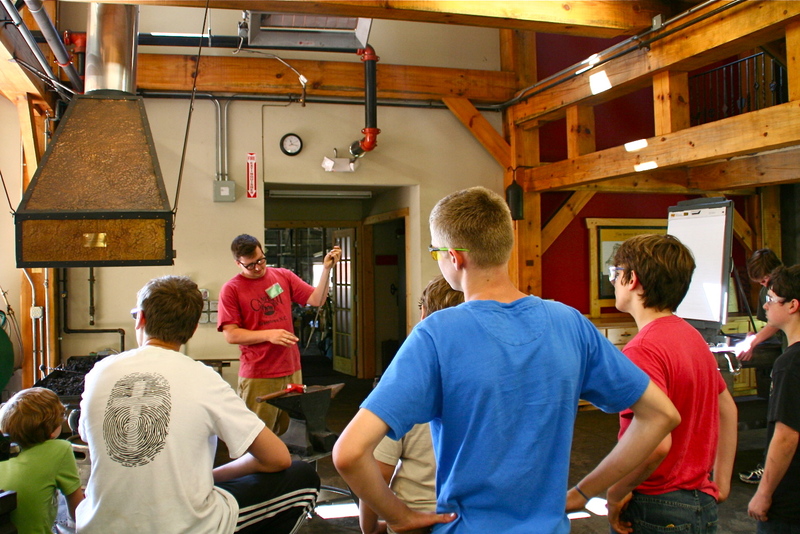 Middle Blacksmithing instructor, Able Allen, demonstrates a technique. Sure is nice to see former students involved in Little/Middle. It is wonderful to see Able Allen teaching blacksmithing and Becky Howard a PR intern, writing and photographing the current students. 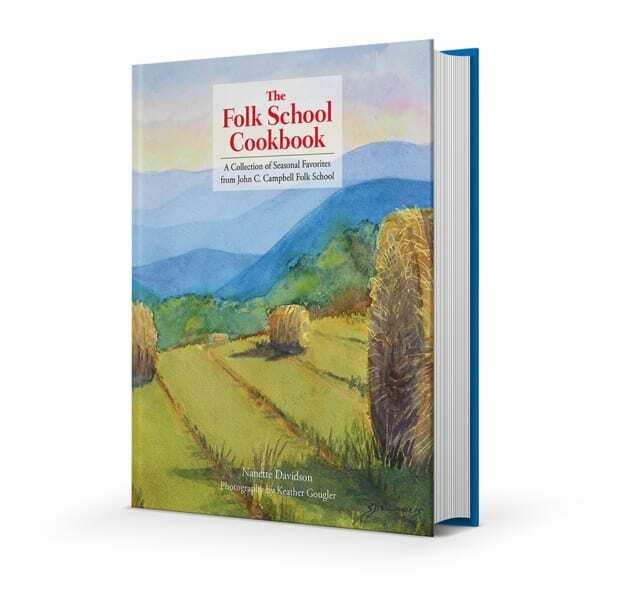 I do believe that the Folk School has infulenced both of their lives! Way to go!! !